Although there are rarely guarantees in life, love, and marriage, many of us would hope to prevent divorce from happening. Couples often find themselves in crises that make divorce inevitable and may wish they had taken measures to prevent these crises in advance. Conflict around money has been reported as a major cause of divorce among couples. 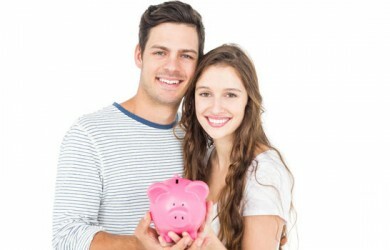 However, those who have joint finances have reported feeling supported, trusted, and united within the marriage and with their partners. Research shows that many satisfied couples report appreciation when their spouses take the time to surprise them. Designating a regular date-night can be an excellent habit for married couples to get into. In addition, who says you can’t surprise your partner with a date night, as well? Cooking a meal and lighting candles can be an example of an unplanned, yet wonderful surprise for your partner to come home to. Whether you set rules around money, household chores, or even just make pacts such as vowing never to go to bed angry, ground-rules can be useful to couples. Many couples have unspoken conflict between them that could possibly be eliminated by taking the time to create a simple rule on the subject. Having negotiated and established rules can lead to each partner feeling safe and loved. Knowing that certain rules are in place can alleviate anxiety because each of you does not have to worry as much over specific life issues that may arise. Taking the time to actually create rules and arrangements that you’re both comfortable with can establish the boundaries that make each of you feel like your needs are met and can also increase your feelings of trust with your partner. Creating the highest possible trust and comfort levels between you two can be a great way to try to prevent excessive conflict and, possibly, divorce.